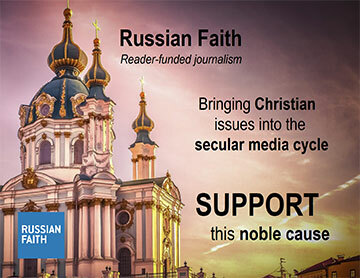 "We can only expect to see deeper ties forged between American evangelicals and the Russian Orthodox leadership in the coming years, along with mutual support in not merely resisting but actually pushing back and overcoming the incessantly totalitarian tendencies of secular liberalism and its anti-family, anti-traditional agenda"
Editor's note: Dr. Steve Turley is a swiftly rising YouTube sensation, author of multiple books, blog writer and education specialist. He makes a compelling argument about the imminent worldwide return to traditional values in terms of culture, politics and religion. Check out his fascinating blog and YT channel! The Economist had a very interesting piece exploring the global relationship between American evangelicals and the Russian Orthodox Church which evidences precisely the kind of global realignment that we’ve been tracking here on Turley Talks for some time now. The article focuses in particular on the advocacy of Franklin Graham, who sees a real strategic alliance forming between the Russian Orthodox Church and American Evangelicals to combat common enemies, such as secular liberalism and jihadist terrorism. Right before President Trump’s meeting with Russian President Vladimir Putin at the G20, Graham wrote on his Facebook that we need Russia as an ally to fight against Islamic terrorism, and he exhorted his friends to join him in in praying for President Trump and for President Vladimir Putin as they have this very strategic meeting. Graham has been central in organizing events here in the states that have brought together some of the highest ranking clergy in the Russian Orthodox Church, and Metropolitan Hilarion who’s head of the external relations arm of the Russian Orthodox church and by the way a magnificent composer, recently had a short but cordial meeting with Vice-president Mike Pence. Now after their meeting, in a joint press conference, this is what Metropolitan Hilarion said; he said that the aggression towards Christians in the modern age is not merely limited to physical violence, as we’re seeing in the Middle East, but also in forms of curtailing the peoples’ right to the public expression of their faith. And he specifically pointed to the practice of abortion and euthanasia, as well as the rabid persecution of Christians by homosexuals and their propagandists who insist on imposing their degenerate sexual deviancy on all citizens, often with the help of the media and the educational system. If I were writing the article, I would have said that American conservatives supported the homo-fascist propaganda ban especially since it was denounced as homophobic by secular liberal globalists; that’s the reason why so many of us would support it! Now the article goes on to foreground another very important organization in the global coalitions emerging between American evangelicals and the Russian Orthodox, and that the World Congress of Families, an American-based association that convenes international gatherings to lobby for conservative social polices, most recently in Budapest; in fact, Viktor Orban, the wonderful prime-minister of Hungary who we’ve featured so often on these broadcasts, was one of the featured speakers at the last conference. The World Congress of Families, rightly in my opinion, sees Russian and Eastern and Central European leaders as crucial to countering the secular liberal anti-family, indeed anti-human agenda that seeks to impose a cultural-Marxist philosophy and vision of life on the entirety of world nations. I mean, what’s so wonderful with the World Congress of Families and indeed really the globalization of the Christian Right is that they understand that this is not merely a civil war going on in America; America’s culture wars is in fact indicative of a worldwide struggle between the anti-cultural, anti-traditional forces of secular globalization on the one side, and the traditionalist, historic religionist nationalists on the other. And the Economist article to an extent seems to recognize this, though of course if very disappointed that so many in the Religious Right are aware of the aims of secular globalists. Now of course there are geo-political differences between American evangelicals and Russian Orthodox; Americans tend to be radically pro-Israel and indeed pro-Zionist because of our dispensational influence, whereas Russians are far more sympathetic towards the Palestinians and really don’t care much for Israel; Americans are radically anti-Islam, whereas Russia has rather good relations with the Iranian theocracy, even saying that they would rather see the world more like Iran than secular liberal humanist America. Nevertheless, Russia has historically seen the Russian Orthodox Church as central to its geo-politics. The Church has historically provided a spiritual bridge by which alliances can be forged centered on common commitments to traditional values and norms. And it is very clear that the Russian Orthodox Church has been a major bridge forming very friendly relations between the US and Russia in the realm of social and religious conservatism. And I believe we are in fact seeing a key agent, in terms of the ROC, in what we’re calling the ‘coming global realignment.’ As first observed by Robert Wuthnow back in the 1980s, the world is going through a restructuring that’s no longer determined by, say, denominational allegiances, or in the case of geo-politics, determined by geographic location, such as the East or West. Now political and cultural alliances are being formed around shared values, particularly those of the secular liberal on one side, as represented by the European Union and the secular left in North America, and the traditionalist conservative on the other, as represented by Russia and the nationalist populist Right in the US. These dynamics, this realignment, is in full swing right now, in fact we’re seeing it in microcosm in terms of what’s going on in the realignment within the Anglican Church, where African bishops are now overseeing churches in North America because their domestic bishops are such flagrant secular liberals. And so I think this realignment is in full swing, and we can only expect to see deeper ties forged between American evangelicals and the Russian Orthodox leadership in the coming years, along with mutual support in not merely resisting but actually pushing back and overcoming the incessantly totalitarian tendencies of secular liberalism and its anti-family, anti-traditional agenda.